Congratulations to Joe and Kaity David for winning the 2015 Governor's Cup Championship! 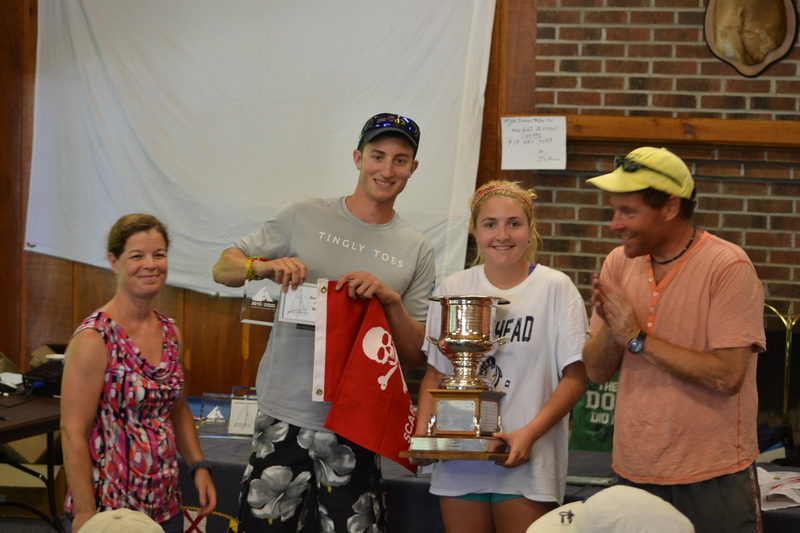 Joe and Kaity are two of our youth sailors that grew up sailing with the Carolina Sailing Club. We encourage youths and juniors to participate in our sailing events, socials and coaching days. 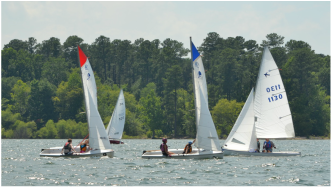 Our club interacts closely with the RTP high school sailing teams and the local university sailing teams, including NCSU, UNC-Chapel Hill, and Duke. Many members of these clubs will crew for current members of the Carolina Sailing Club. And our fleet members have even loaded personal boats to youth sailors for regattas. We offer a Youth membership at a reduced rate to encourage younger sailors to join us on the water. We recognize many youth and young adult sailors are new in their chosen career paths with limited resources.